Near fine in decorated wrappers with a little edge wear. With the surreal authority of a David Lynch, Jennifer Egan threads Charlotte’s narrative with those of other casualties of our nfatuation with the image. There’s a deceptively plain teenaged girl embarking on a dangerous secret life, an alcoholic private eye, and an enigmatic stranger who changes names and accents as he prepares an apocalyptic blow against American society. 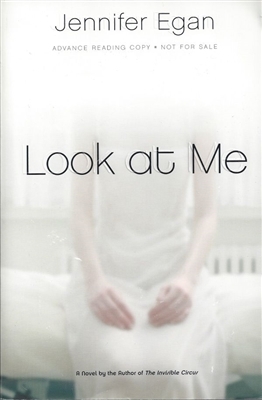 As these narratives inexorably converge, Look at Me becomes a coolly mesmerizing intellectual thriller of identity and imposture.